When it comes to research related to diabetes, I want to support those efforts as much as I can. The power of sound data, plus patient stories, can move the needle on therapies, treatments, and empowerment for people living with diabetes. Today, I’m lending my website to my dear friend Karen Graffeo, who wants to share some information on the DiabetesSisters Voices project. What do you think of when you hear the words “diabetes research”? To be honest, until recently I thought of really smart people wearing lab coats. They might be trying to cure diabetes or working on diabetes prevention. They could be researching better treatments or they might be running clinical trials. And I also wondered if they might be researching things that don’t really matter to me as a patient. But when I thought about diabetes research, I never imagined it could include connecting with other women with diabetes from the comfort of my own home. And often while still wearing my pajamas! My perception of diabetes research changed when I became part of the DiabetesSistersVoices project. 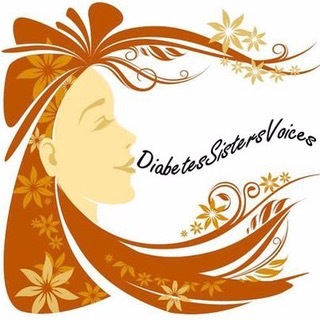 DiabetesSistersVoices is an online community that combines forums with research. Members use the forums to ask questions, share experiences and search for resources. We chat with each other about what is important for improving our health and well-being, and our discussion will later help guide the research community. At the end of the project, the top research and health care questions will be collected for a final report: The Patient-Centered Women’s Health and Diabetes 10Q. This report will help policy-makers, advocates, researchers, clinicians and other groups to better understand what priorities in research should be. I’m serving as moderator of the site, and it’s really exciting to see all kinds of conversation and questions being discussed. But it’s important to have as many voices participating as possible, so we can truly represent the needs of all types of women with diabetes. If you are an adult female in the United States and have been diagnosed with type 1 diabetes, type 2 diabetes, pre-diabetes or gestational diabetes, you are eligible to participate in this study. Go to our website www.diabetessistersvoices.org and click “Register”. Once you’ve completed a screening and an online consent form and survey, your account will be approved and you can join the conversation and help drive important research. I hope you’ll register and come connect with us. We need your voice and your perspectives in our discussions. And you don’t even have to change out of your pajamas first! Find DiabetesSistersVoices at https://diabetes-sisters-voices.org. Follow the project on Twitter at @ds_voices. #DOCasksFDA – Your Feedback is Needed, DOC! Sort-Of Guest Post: What Do You Wish Health Care Professionals Knew? Guest Post: Crusading for CGM Coverage. Guest Post: Let’s Talk About It. Thanks a million for helping us spread the word!! PCORI is one of the best things about the ACA. I am hopeful it will survive. Diabetes sister is doing such terrific work. I wish I could participate. Hey,Karen, thanks for passing the word on the Diabetes Sisters research project. I’m already signed up. I love the DS website!! Lots to read and comment on! Thanks for the nice words, Sandy. I just want to clarify for everyone reading, this project does not take place on the DiabetesSisters website. Anyone interested needs to complete the registration process at https://diabetes-sisters-voices.org, which is a separate website. I love being a part of the Diabetes Sisters community! I’ve said it a million times, and I’ll say it a million and one .. but when I was dx’d I knew nobody that had T1. My mom introduced me to her hair dresser that had had diabetes since he was a child, and he was in renal failure when I met him. She was so desperate for me to connect with someone. But the resources just weren’t there. She took me to support groups at the hospital. Those were awesome. Not. It was usually white haired people who had nothing in common at all with my 17 year old, senior in high school, self. So to have resources like this now, even 24+ years later .. .is amazing. Thank you for what you’re doing, Karen!!!! Nice post! So grateful to the adult Type 1 community for enormous efforts in building connections with and for PWDs! Can’t imagine the places you’ll go by the time my kiddo starts sharing her own voice! Thanks, everyone, for your comments. At DiabetesSisters (as well as Johns Hopkins and UNC at Chapel Hill), we are extremely proud of this project. It would not function without YOU – so thank you for spreading the word, engaging on the site and supporting it. Research, support networks, and engagement are integral in our social and emotional care. And thanks to Karen for doing such a great job! get connected with steady news from the JDRF, Juvenile Diabetes Research Foundation. Better source than most dr., or the ADA. They really work hard for a cure.